Today is Jumpin’ Jive. It’s a community event that Aegis Living is putting on, so all of the communities here in Washington are getting together in the Georgetown Ballroom and we’re celebrating the ’50s. The idea is that we’re basically going to a dance, so we’re dressed for a party. So we have the fedora hats on our guys, and they’re dressed with their jeans rolled up, they’re all in their white t-shirts with the suspenders going, and then the ladies are all in their fancy dresses. They’ve got boas, lots of party hats, lots of jewelry, and hair and makeup this morning. It’s just about enjoying time together and enjoying time with family and friends, and reliving good memories from our past. 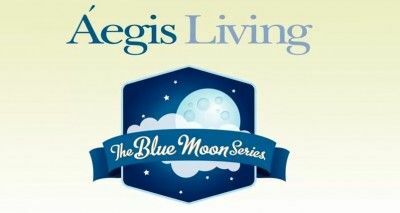 We just started a series called the Blue Moon Series and what we’re trying to do with this new activity series is really innovate a new way of seniors having activities. A lot of times with seniors, people think, “Geez they can’t do that anymore because they’re frail or maybe they even have a cognitive impairment.” We’re trying to break that kind of thinking. So if you look around this event and you look at the laughter and the sense of community, and the fun that people are having, we’re giving people back their lives. We’re giving people back something that they thought they’d lost. This issue about fun, this issue about feeling life again, and it doesn’t have to end when you move into a retirement community. This event is particularly exciting to me. I’ve cared for older people for many many years and I’ve never seen the level of involvement, and joy, and excitement that I’m witnessing at this event. It’s truly unique and it’s absolutely thrilling to see. Music is one of the things that tends to penetrate the crevices of a person’s brain and gets beyond the cognitive impairments that a lot of people have. You know I danced with a lady that said, “I haven’t danced this way since 1947.” You know we’re giving them back that feeling of joy, those moments of pleasure, and that sense of self-worth, and that sense of beauty which is really part of the activity. That’s the gift we’re trying to give back to these people. It’s like the elixir of youth. When people come into an event like this, which is so stimulating, so positive, so full of energy and creativity, they reconnect parts of their brains which have been dormant for a long time. And we believe, once those connections have been reactivated that the appreciation for what’s around them, and their quality of life improves in their own community. What I’m enjoying best about the party is just having my mother be part of not only her own community, but a larger community, and sees them dancing and just enjoying themselves. And she is enjoying herself too. I wasn’t really aware of what the whole event was going to be like. And then I saw all of the other buses, from all of the other Aegis’s, and I thought well gee that’s even more fun because it’s like high school and college all over and I think life should be like that all the way through, so it’s been really fun and I’m glad they’re going to do more because I know my mom would really like it. One of the best things is that we have 2000 people that have like minds about how we treat people, and we don’t see our residents as elderly, we see them as great people that just happen to have a few years on us. And I think that attitude of normalcy is what makes us different. We have to constantly remind ourselves that our job, our job at the purest level is to give that resident a moment of joy every day. And if we can keep that in the forefront of our mind, we’ve done our job.